Re-useable. 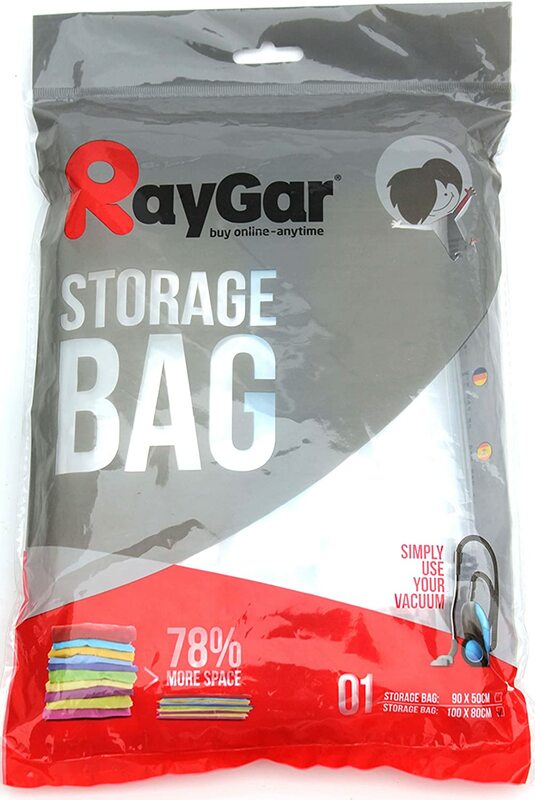 Protects against dust, dirt and moisture. 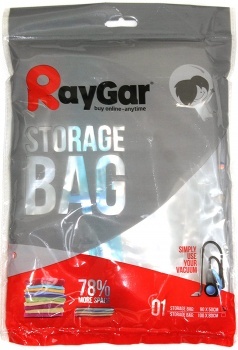 6 VACUUM COMPRESSED STORAGE SPACE SAVING BAGS - Washable, durable and re-useable. Use with or without a vacuum cleaner. Use to store: clothing, duvets, bedding, pillows, curtains. 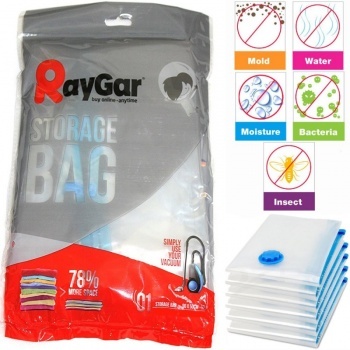 Prevents: dust, mould, moisture. Dimensions: 90cm x 50cm. 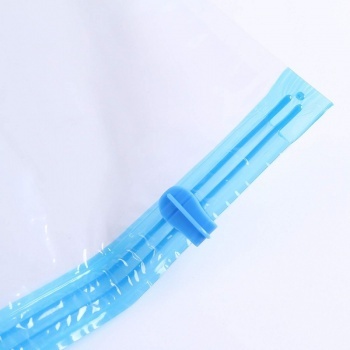 Easy to use, zip well and do not leak. 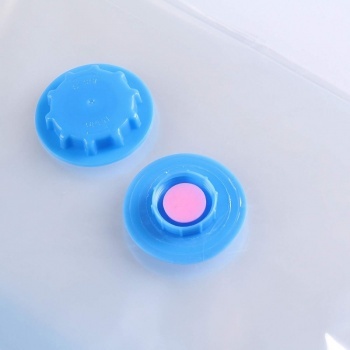 The bags are easy to use - fill it with clothes, use the ziplock closure to seal the main opening. Open the valve and vacuum the air out, close the valve. 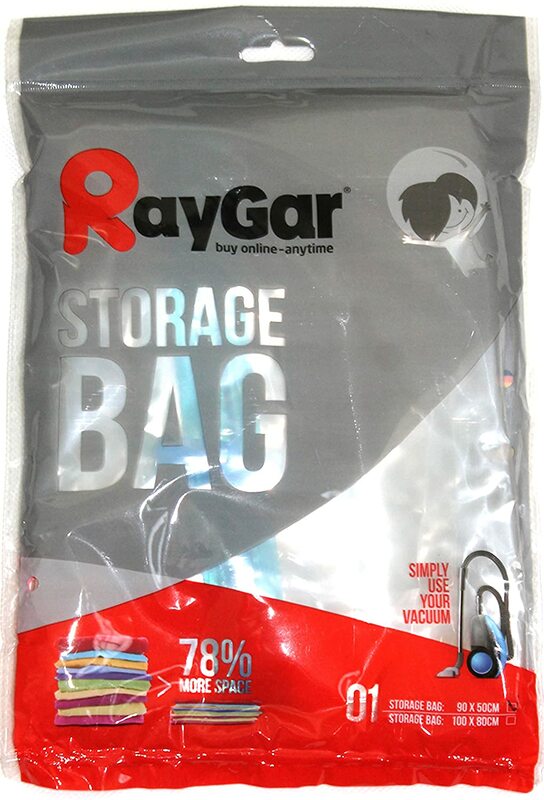 The bag reduces to about 30% of its size. Found the 90x50 cm to be a good size - fits about 12 dresses. All 6 bags held the seal well - no issues faced. 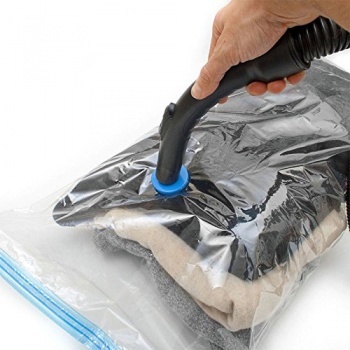 What a handy product, compressed winter coats and jumpers no problem and so far seem to holding the vacuum. 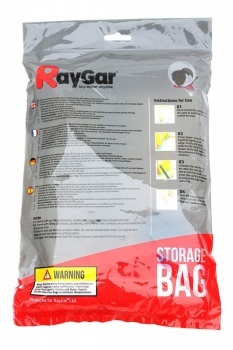 I have bought cheaper bags before but they can only be used once or twice at best before they just don't work anymore. I thought I would splash out on these. Used the first lot to store my caravan linen, quilts etc over the winter period and left them in the caravan. They were still compressed when I got them out recently and as dry as a bone. I have now purchased more of these to use to pack up my winter wardrobe and I am expecting similar results. They are more expensive than the previous ones I bought but they work and continue to work. I have now had three lots of these. The large ones I used for the garden furniture cushions after having seen someone else on reviews do. They worked a treat and instead of having 4 large plastic boxes to store them I condensed this down to 2.